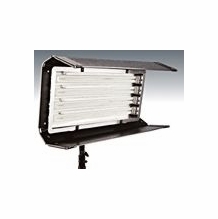 Fluorescent lighting often gets a bad rap, but film, video and photo professionals know that this type of lighting is important for a variety of lighting effects. 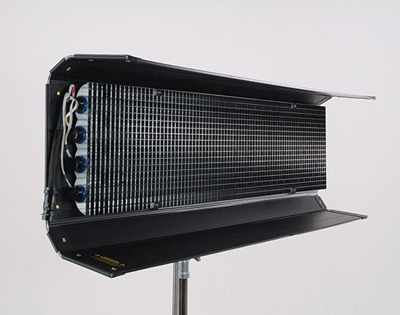 In fact, it can provide excellent soft studio lighting when used correctly. 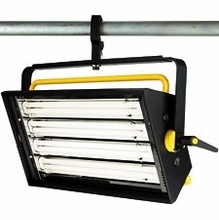 To help you achieve this effect, BarnDoor Lighting offers this selection of high-quality fluorescent light fixtures. From the Osram Cinema Plus fluorescent fixtures to unique bank lighting fixtures, we have a number of options that allow lighting techs to create cool effects. When it comes to fluorescent lighting, photography and video simply wouldn't be the same without it. Don't settle for less when it comes to selecting your preferred lighting fixtures. 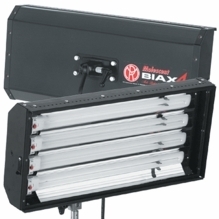 At BarnDoor Lighting, we offer the benefits of a small business with the selection that would rival the big guys. That means you get the personal attention and expert advice you'd expect from a small business, along with a large selection and affordable pricing commonly found at large internet retailers. We're always here to help you find exactly what you need. Give us a call at 1-888-276-3667 or email info@barndoorlighting.com anytime.